Updates temperature data every 2 seconds. Updates light readings every 250 milliseconds. Optional Latching Relay may be controlled independently or change due to alarm status. Supports Conditional Search command, with user-definable conditions. Pass-through connector for easy daisy-chaining of sensors. LED may be controlled independently or change due to alarm status. Applications include thermostatic controls, industrial systems, consumer products, thermometers, or any thermal/light sensitive system. The EDS 1-Wire Temperature / Light Sensor, OW-ENV-TL, offers an innovative way to easily monitor and control temperature and light in indoor environments. 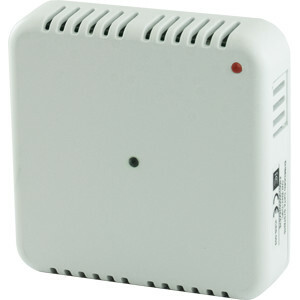 The wall mount sensor features a high accuracy temperature sensor; as well as a light sensor, an LED, conditional search support, and a pass-through 1-Wire connection. Together these features offer an efficient and flexible system for monitoring the temperature and light levels at one or more locations within a building. The sensor was specifically designed for easy communications. 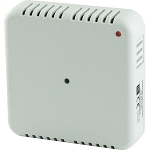 Any general purpose 1-Wire host adapter* should be capable of reading data from the sensor. Activate when an alarm parameter is met and deactivate when the alarm byte is cleared. Activate when an alarm parameter is met and deactivate when readings return to normal range. Controlled independent of alarm status. The LED and optional relay response times are extremely fast; the sensors are able to respond appropriately (activate fan/alarm siren/etc) even before the monitoring application is aware an alarm has been triggered. 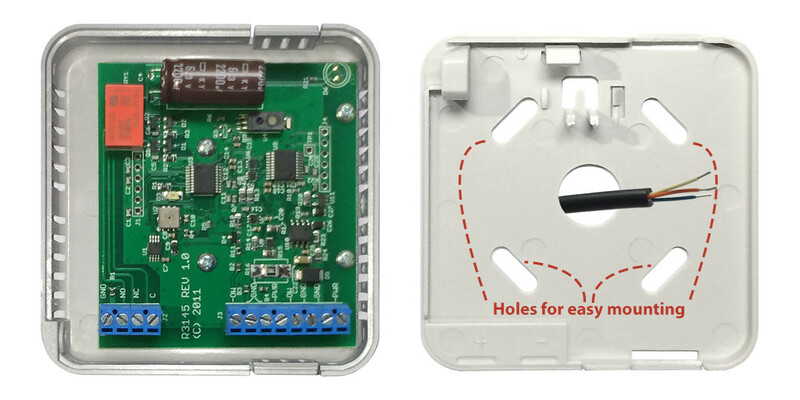 Since, the EDS Temperature / Light Sensor's alarm functions can operate independently of the 1-Wire host adapter the sensor can be used as a standalone Thermostat. Q: 1-Is this sensor suitable for outside? 2- Do you have any OW sensors capable of measuring light levels and suitable for outside? A: The OW-ENV-TL and our other light sensors would need additional protection water/condensation to reliably operate outdoors. I'd suggest looking at the WC-36*1508 with some waterproof cable glands. It is a weather resistant enclosure (NEMA 4 & UV Stabilized) that should fit the entire OW-ENV-TL. I'd also suggest including a packet of desiccant in the enclosure.